For something a little different this week, I have my first guest post from another blogger! This article was written by Rosemary McGuigan, the owner and operator of Best Of The Kimberley, the holiday and tour planning specialists in Broome, Western Australia. 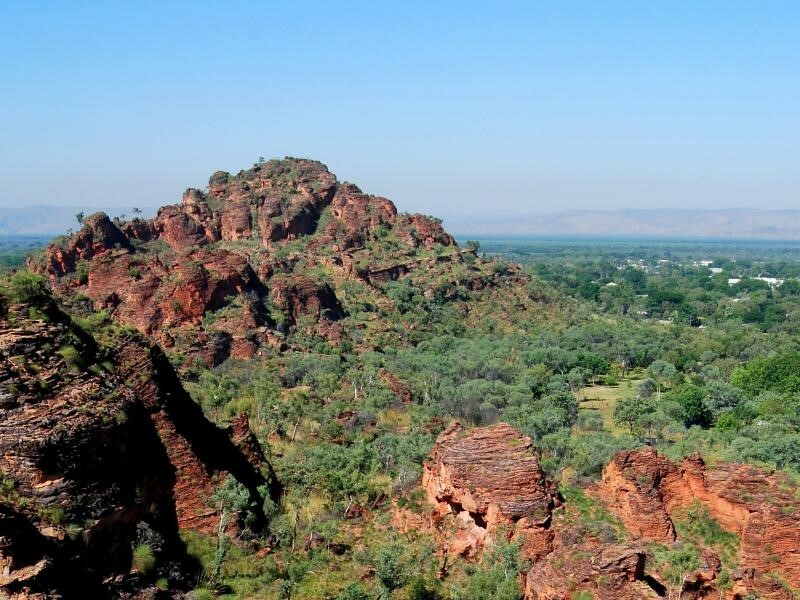 Rosemary helps many holiday goers year after year plan tours in Kununurra & the Bungle Bungle Ranges – there is so much to see in this stunning part of Australia that you’ll want to go back every year! Craig and I have some friends that recently relocated to Kununurra and we would love to visit them one day, this is a great post outlining what we can do with the kids when we are there. so over to Rosemary. Kununurra is a perfect base from where you can visit wonders such as Purnululu National Park (Bungle Bungle Range), the mighty Ord River and Lake Argyle or preparing to traverse the Gibb River Road. When travelling with children on board time out of the car for parents to relax a little while letting the children expend some of their energy can only make a family holiday so much more enjoyable. We have come up with 5 suggested activities for the whole family, without breaking your travel budget. Located on the banks of Lake Kununurra, is Celebrity Tree Park which was opened in 1984. The park is also conveniently situated opposite some of Kununurra’s accommodation, or just a very short drive from others. 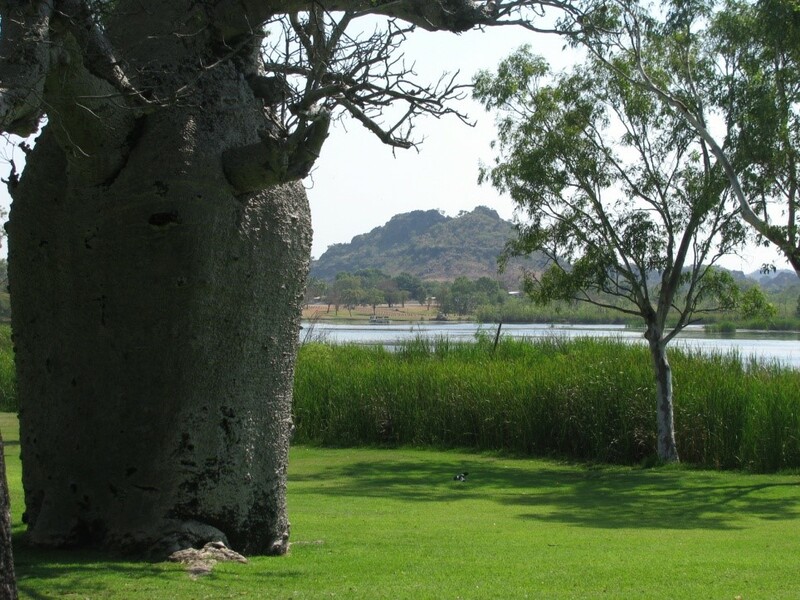 Not only is this park shady, lush and grassy, you can help the children discover the plaques beside the ‘celebrity’ trees, hug a large boab trees or just let the children run free while you enjoy the views across the Lake. You might also discover some of the birds that live around the Lake. Broome has its famous outdoor cinema “Sun Pictures”, but Kununurra also boasts a unique Picture Gardens which is an outdoor cinema located on Coolibah Drive and close to the town centre. The picture gardens has been solely operated by volunteers for over 50 years, which makes going to the movies there just that little bit special for being part of a much-loved community activity. The community owned picture gardens generally operate in the dry season months of March to November each year, subject to weather conditions. March and November can still be affected by the wet season but as the dry winter weather takes over an evening at the outdoor flicks is a lovely way to spend a balmy evening under a starry Kimberley night sky. The Picture Gardens feature a range of movies to suit all the family and we recommend that you check out their website for the latest showing. Zebra Rock Gallery is located on Packsaddle Road, and just 15 minutes’ drive from the centre of Kununurra. 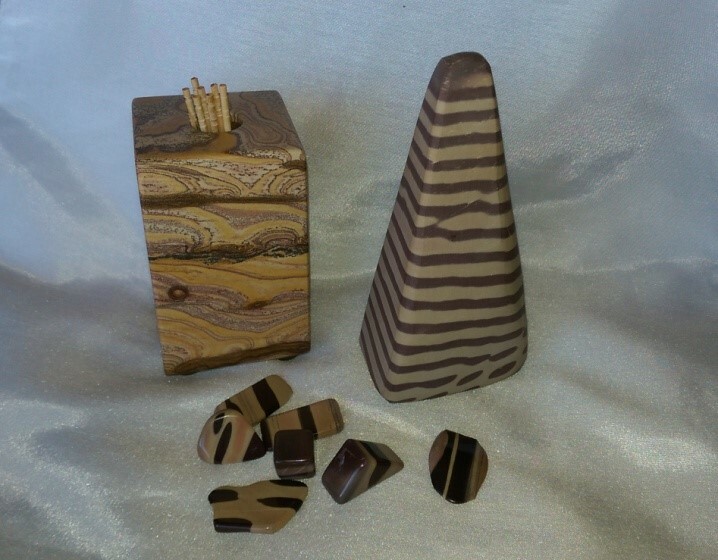 The gallery features a range of sculpture and jewelley in the amazing and rare Zebra Rock. The only known deposits of Zebra Rock in the world have been found near Kununurra and has been placed at 600 million years old! Zebra Rock is an attractive, fine rhythmic pattern of brown bands or spots contrasting sharply with the white background. Also at the gallery is a range of Kimberley themed books, including children’s books and in particular those produced by Broome’s Magabala Books, which is the only indigenous publishing house in Australia. The Gallery also boasts a range of Kimberley marine shells to view. Onsite is a coffee shop too where the children can indulge in a mango smoothie, before feeding the fish from the jetty, view the birdlife or play in the playground, while parents relax under the mango tree with a coffee and slice of mango cheesecake! Zebra Rock Gallery – Best Of The Kimberley, they look delicious! Mirima National Park is just two kilometres east of the Kununurra town centre and accessible by bitumen road. The area was declared a national park in 1982 to conserve the natural features and the local Miriuwung peoples’ sites. The park covers 2,067 hectares and contains spectacular natural rock formations with rugged cliffs that form amphitheatres, gullies and ridges, which are similar to parts of the famous Bungle Bungles. Mirima National Park is open for day use and is popular for sight-seeing, walking, photography and nature, where you may see the local wildlife including wallabies, black kites and finches. Depending up on the ages of abilities of accompanying children, there are four walk trails that range from moderate to difficult and cover distances from 400m return walk to 2.2kms return walk. The 400m ‘Looking at Plants Trail’ is a loop that includes a wheelchair friendly boardwalk with signage along the trail to assist with plant identification. The 500m return Demboong Banan Trail leads through a gap in the sandstone range to a lookout over Kununurra. The park’s facilities include an information shelter, tables, toilet and car parking, so we suggest packing a picnic lunch and take the time to enjoy the amazing natural surrounds which are just moments from the busy centre of Kununurra! Not suitable for children under 7yrs, but older children who have never had a chance to go fishing, a half day guided fishing tour accompanied by dad or mum will provide a sense of adventure without wearing out either the children or their parents! 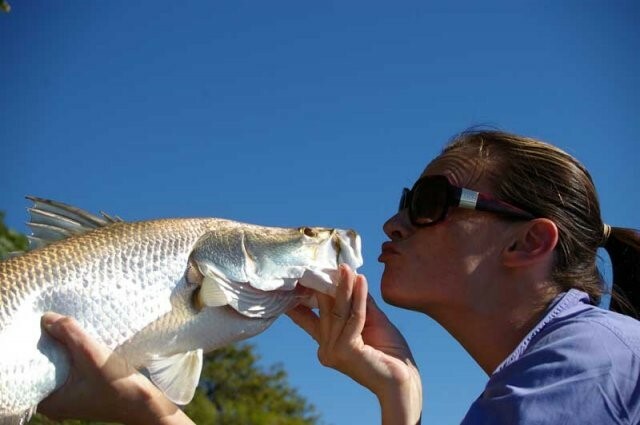 Cruising along the Ord River with fishing rod or reel in hand and some expert guidance, your youngster may just bag a lovely barramundi that the family could enjoy on the BBQ that evening. A river adventure will also provide an opportunity to view birdlife and wildlife that inhabit the waterways. As you can see Rosemary is very passionate about the Kimberley, Western Australian region. She has sure convinced me that its about time I get myself up that way for a visit. If you have any questions or you would like to book a trip please go across to Rosemary’s website by clicking here. Rosemary would be more than happy to assist you with any plans for the Kimberly region. Disclaimer: I am in no way going to receive any compensation for any tours booked through this post, Rosemary is purely a guest blogger on my site and I have enjoyed having something a little different on my site for you this week.